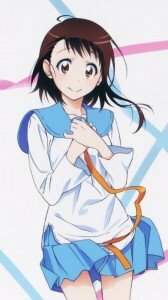 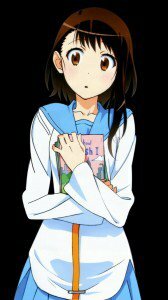 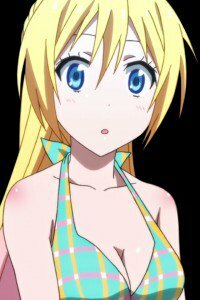 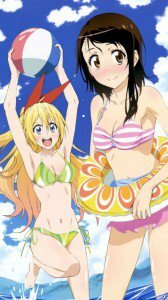 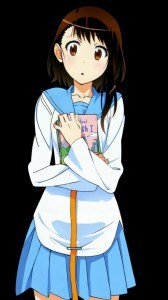 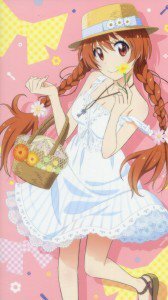 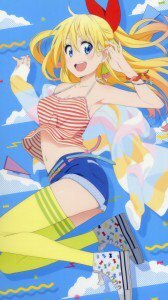 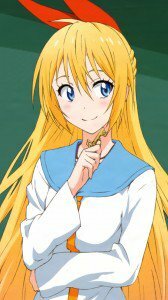 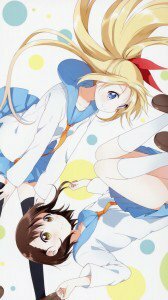 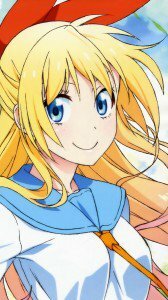 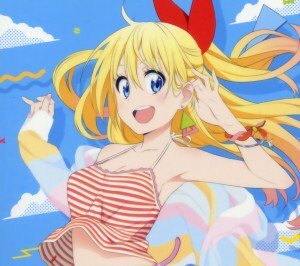 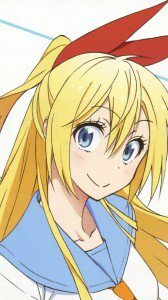 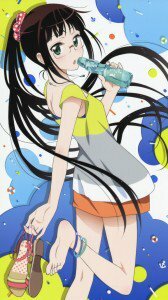 Nisekoi: False Love mobile phone wallpapers. 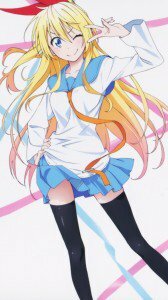 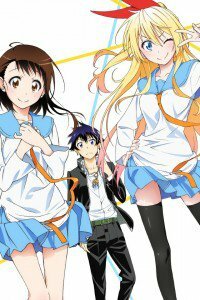 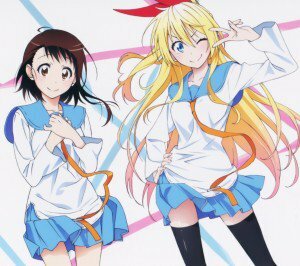 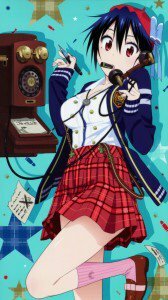 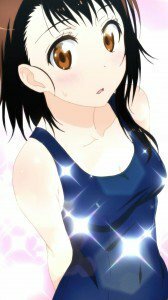 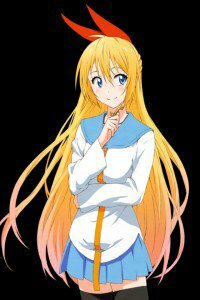 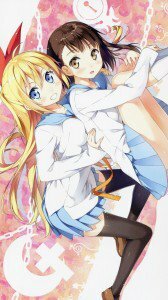 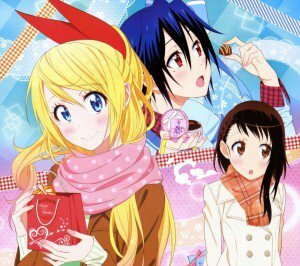 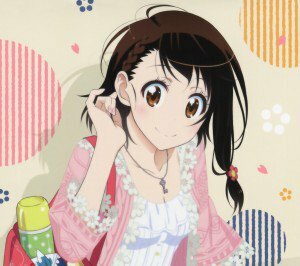 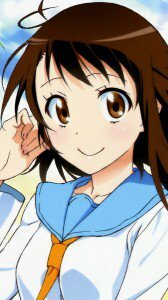 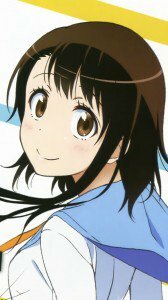 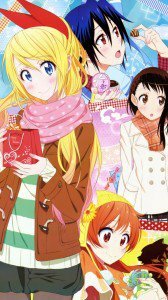 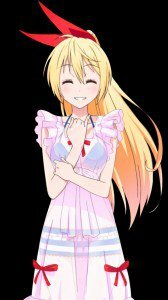 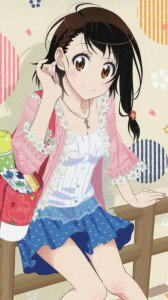 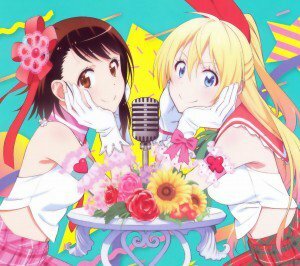 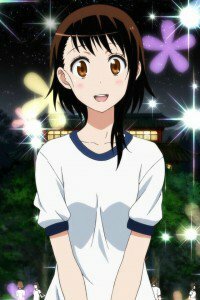 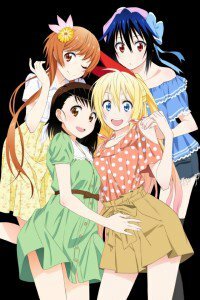 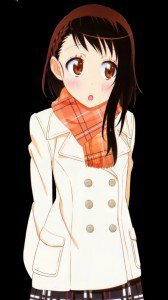 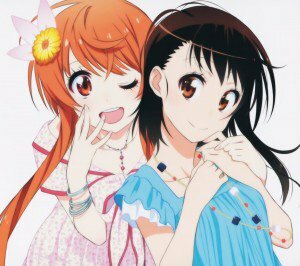 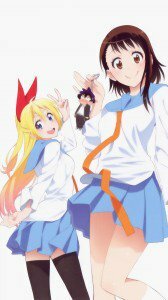 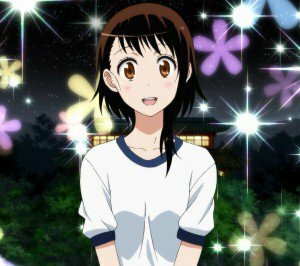 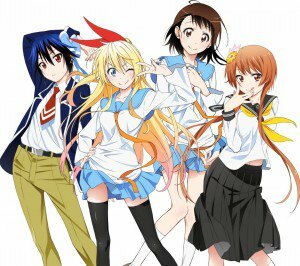 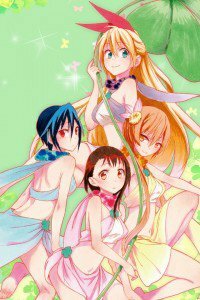 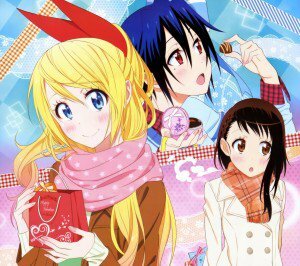 Raku Ichijo, Chitoge Kirisaki and Kosaki Onodera android and iPhone wallpapers, Seishirou Tsugumi lock-screen images, Ruri Miyamoto and Marika Tachibana backgrounds for otaku smartphone. 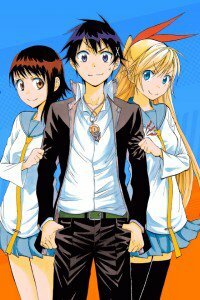 The plot tells the story of Ichijo Raku – yakuza clan heir, who dreams of a normal school life. 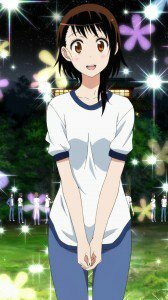 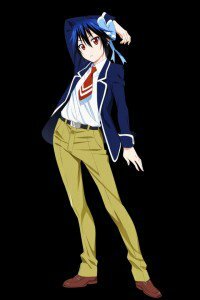 However, we do not always get what we want, and on the first day of high school Raku faces vigorous new girl Chitose, which appears in his class. 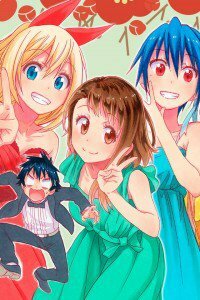 And as if this was not enough – in the end it turns out that it was his newly made bride, in order to reconcile his family with a local gangster gang. 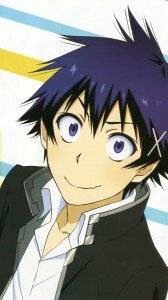 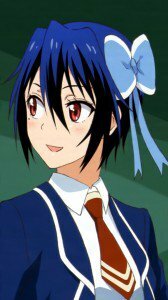 But Raku’s heart is already taken by dreams of a cute classmate, and the locket around his neck symbolizes the mystical promise.